Tor Browser is a web browser that allows you to browse anonymously and confidentially. It disguises who you are and who you communicate with. Generally, it serves as a guarantor of protection of your private data when you are online. There is also Tor Chrome Extension that allows using Tor ports while you surf on the Internet. Some users claim that Tor is slow, and prefer other ways to a secure internet connection. If you want to uninstall the Tor browser, follow one of two ways described below. How to uninstall Tor manually. How to uninstall Tor quickly. Find it in the Application Folder and drag and drop it to Trash. The first step has been done. However, note that when you remove any program the regular way, its service files still remain on your Mac. They are stored in the hidden Library Folder. If you find the first way of uninstalling the software quite tedious, we have good news for you. 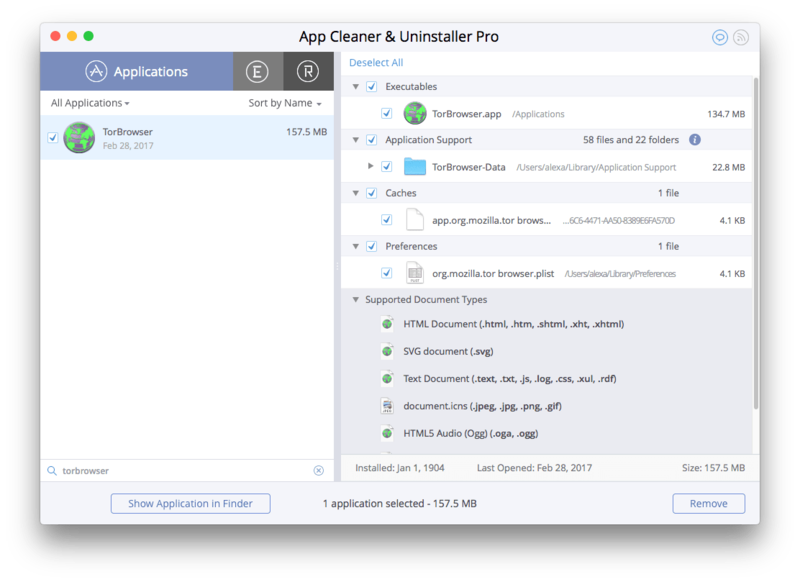 With App Cleaner & Uninstaller Pro you can uninstall any app completely in one click. After scanning all your apps with the uninstaller, select Tor browser and click Remove. With App Cleaner & Uninstaller Pro you can see how much disk space is eaten up by each program. 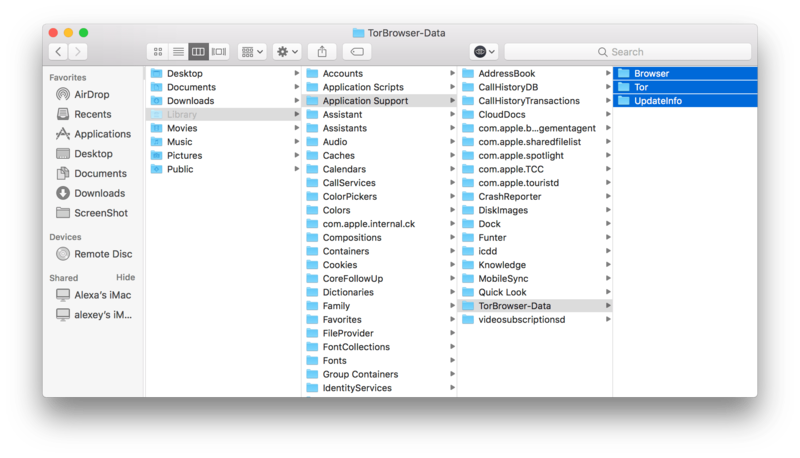 The app allows you to delete service files, reset applications and even find leftovers of files that were previously deleted in a regular way.